Of course, foliage and architecture come at a price. And that’s a big part of why many of the most beautiful college campuses in America are private schools. But the taxpayers and state lotteries can build some pretty impressive stuff too! 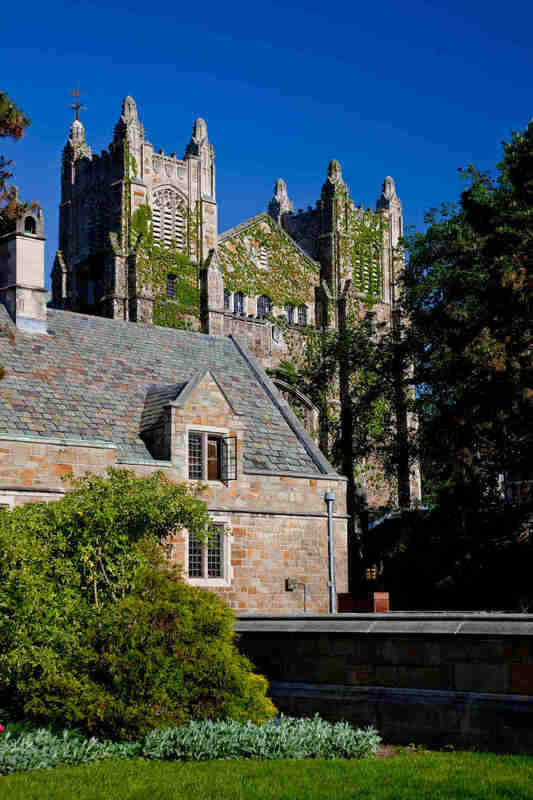 Like these 20 public schools with primo, gorgeous campuses. Certain places start with a clear advantage by dint of weather and location, and in Cal's case both are just about perfect. Many schools also benefit from early infusions of serious money and actual taste -- and again Cal won the lottery. The seeds of its distinctive neoclassical character were laid in 1898, when William Randolph Hearst's mother headed an international design competition for the campus. From that, the architect John Galen Howard wound up directing the construction of 20 new buildings for the campus and launching the architecture program. 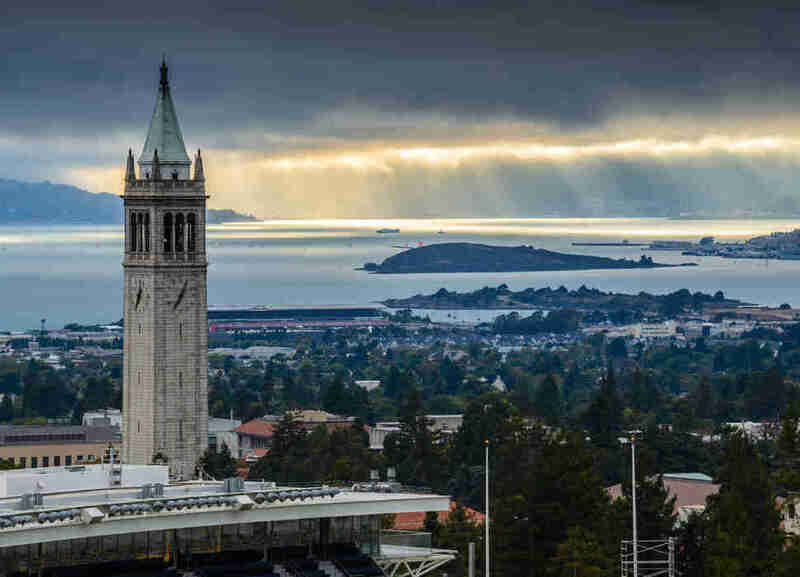 The university's signature landmark, the century-old Sather Tower, a 307ft-tall clock tower that houses a 61-bell carillon, is one of America's most iconic campus structures. The words “urban campus” would be a little misleading here, since one would imagine a school set among skyscrapers. But this school in the heart of Charleston may be the most beautiful and verdant part of an already beautiful city. 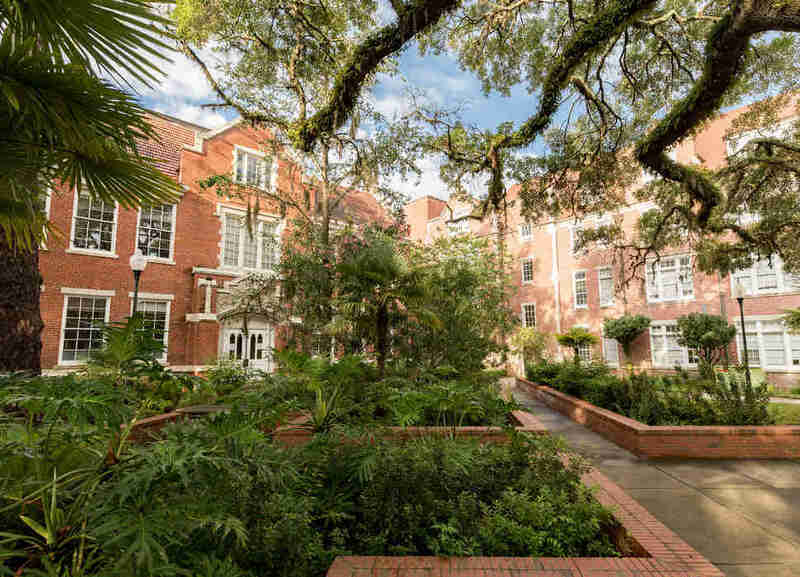 The campus is cobblestone streets and buildings older than the nation itself, and what it lacks in traditional “quads,” it more than makes up for in the charm of Southern colonial architecture, and dramatic live oak trees draped in Spanish moss. A big part of why Olympia is the most hippie town in Washington is this school, the American institution that introduced us to the concept of “no grades.” So with no repercussions, you’re welcome to skip class and enjoy the forest-like campus, a trip more like a hike through Olympic National Park than through the largest college (by area) in the state. The campus is so pretty some students actually live IN it, eschewing traditional dorms for forest treehouses. Oh, and that 3,000ft beach they’ve got on Puget Sound? It’s clothing-optional. Truly one of those 360-degree places in Hawaii where you can do no wrong. On the mountain side, you've got some of the most lush forests abutting an urban area anywhere in the States, usually with a rainbow dawdling overhead. 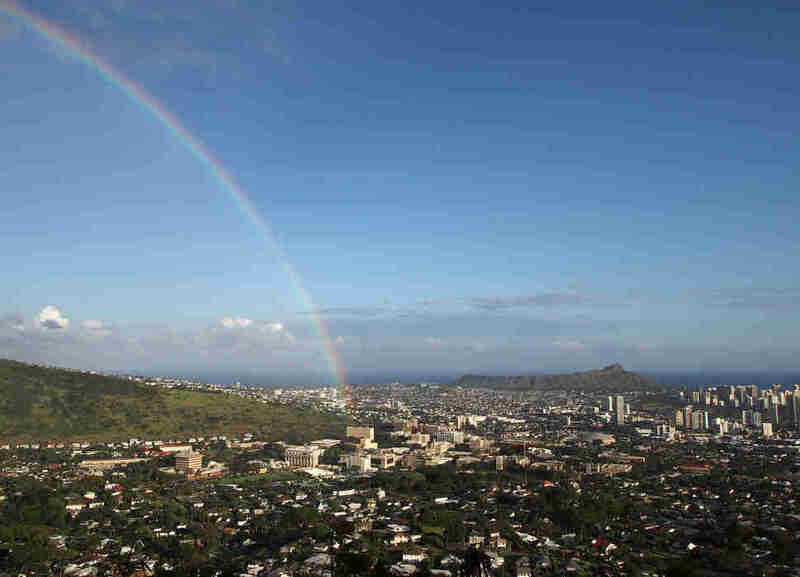 Look makai, you'll see the extinct volcano Diamond Head and Waikiki leading to the Pacific surf. The campus itself sits between city and jungle, nested among trees that offer a broad, shady canopy. Aside from some Asian-influenced structures, the architecture isn't terribly memorable, but the open spaces -- in the greenery of the mall, the quad, and the open-air buildings -- place you firmly in the Hawaiian outdoors, which is where everyone wants to be anyway. If for some reason the track at Platform Nine and Three-Quarters started running trans-Atlantic routes, it would no doubt end up at somewhere that looks a lot like James Madison. It’s like someone dropped Hogwarts in the Shenandoah Valley, with grand, blue stone structures dominating a campus of rolling hills set against the Blue Ridge Mountains. The sunsets here are as much a part of the college experience as playing Frisbee in front of Wilson Hall. And the new buildings on the eastern part of the campus still keep with the architectural theme, making the campus even more beautiful than it was a decade ago. Michigan's one of those rare elite schools where the campus, far from being a walled-off bubble, mingles and blends with Ann Arbor's tree-lined Downtown. A walk down State St, from Yost Ice Arena to the State Theater, has got it all: you'll pass Pizza Bob's, the gothic Law Quad, the ivy-covered Michigan Union, the redesigned Museum of Art, one of the best beer bars in America in Ashley's, Angell Hall's Doric-style Greek columns, the meadow of the Diag, one of Ann Arbor's favorite ice cream scoops in Stucchi's, and finally, famed architect Albert Kahn's iconic carillon bell tower. Now, the Spartans up in East Lansing will tell you they have the finer campus, what with the greenery and the banks of the Red Cedar and all. And it is nice up there. But U of M does riverbanks too -- the Huron River drifts through Nichols Arboretum, one of the most beautiful natural oases you'll find on any campus in America. What ultimately sets Michigan apart from Michigan State -- and most every other campus -- is how beautifully Ann Arbor's Midwestern charms integrate the campus. We'll just forget about that time that they put that Halo around the Big House. 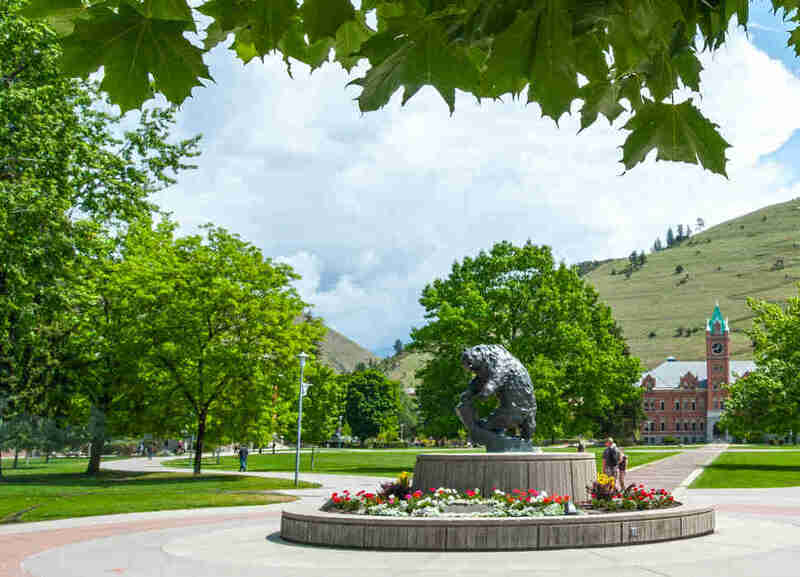 Few campuses bring students closer to their recreational dreams than the one in Missoula. Situated at the base of Mt. 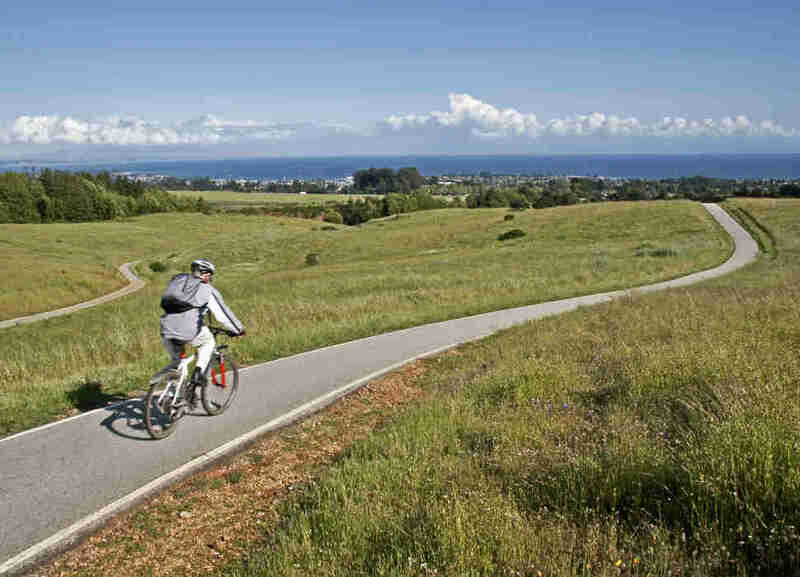 Sentinel, the campus encourages students to spend their walks between classes ogling said peak, then planning an afternoon in the Rattlesnake National Recreation Area, only 20 minutes away by bike. Even when they’re not taking in the big sky and bigger mountains, students can enjoy 60 different styles of architecture, from the art deco student union to the Queen Anne Prescott House. When you think of great collections of Greek architecture, only one place comes to mind: Mississippi. No? 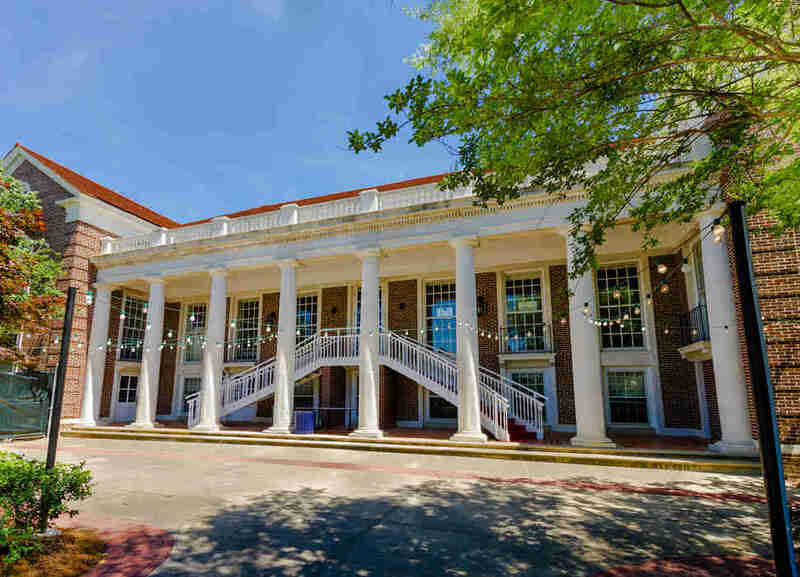 Well, the original campus building, the Lyceum, is a classic white-columned structure with massive brick wings that anchors an entire historic district within the campus. The Circle, as it’s known, looks more like an area you’d find in DC than Oxford, with long, brick buildings stretching throughout. And Ole Miss’ beauty isn’t limited to the architecture, as anyone who’s spent a Saturday tailgating in the Grove can attest. Historically the standard for a state public university system has been California's, both in funding and ambition. But don't sleep on New York's, and don't drive through Albany without taking a detour to this unlikely gem of a campus. 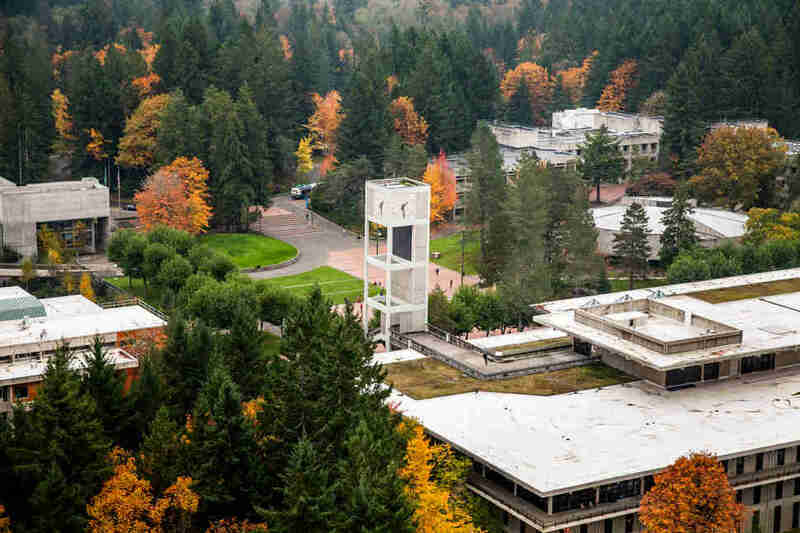 In his 1999 book The Campus as Work of Art, the architect Thomas A. Gaines placed it among the top 10 campuses in America for its design and overall appeal -- and it's been handsomely upgraded since. 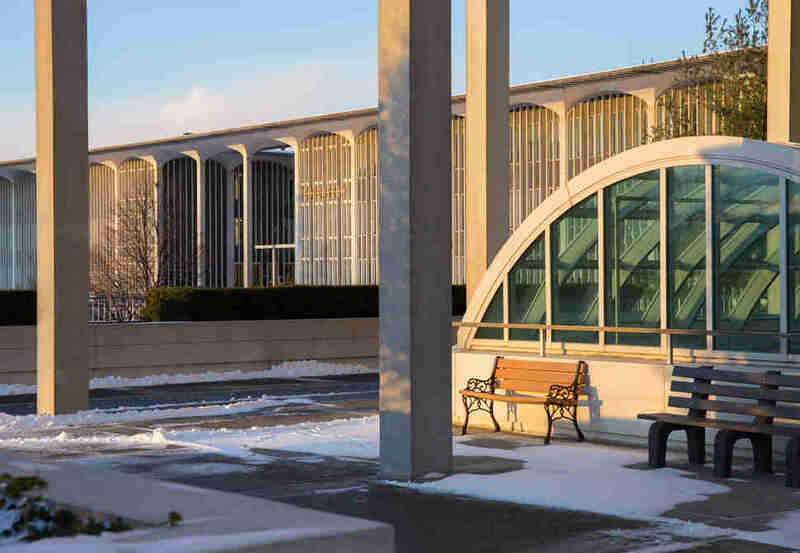 The 2008 expansion of the school's Grand Entry Plaza, complete with walk-through fountains, offers enhanced green space, benches, and trees around the existing 50-year-old architecture, the work of midcentury modernist Edward Durell Stone. 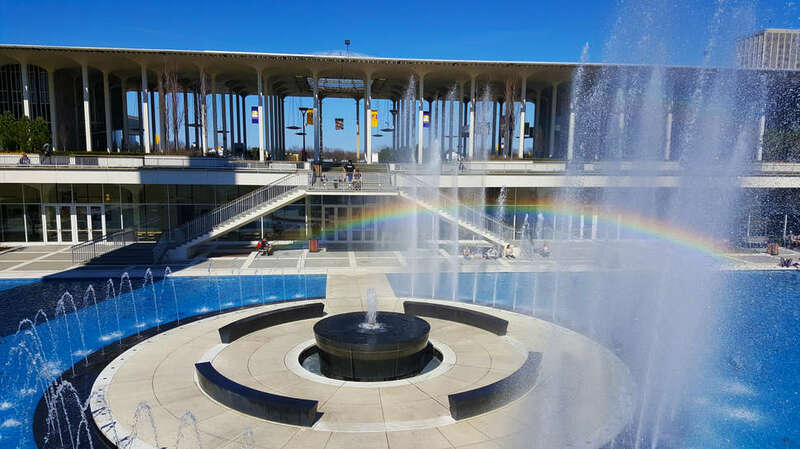 His design, championed by New York's then-governor Nelson Rockefeller, relied on svelte columns and bright tones, setting up UAlbany to age gracefully. (Elsewhere, around the same time, schools opted for a different fashion of the day, and stern brutalist slabs sprouted up American colleges when the baby boom spurred construction sprees.) Stone told the school's student paper in '65: "When all of the wonderful landscaping plans are fulfilled, I think this campus will compare to Versailles, where there is also great formal architectural composition." That's the standard the campus has held to for decades since. Though most people imagine this state as a beachy peninsula choked with murky swampland, its flagship university is none of the above. Yes, OK, the on-campus lake has been rumored to have an alligator or two, but that just adds to the uniquely Floridian feel of the place. The historic campus is filed with red brick buildings under shady oak trees and Spanish moss. And as the campus cascades slowly down a hillside (yes, a hill! In FLORIDA!) then gives way to Lake Alice and the pleasant, sub-tropical foliage that surrounds it. Thanks in part to its famous rotunda, the UVA campus looks like someone took Monticello and moved it to Charlottesville. That’s probably because Thomas Jefferson designed the campus, the only one that’s entirely a UNESCO world heritage site. 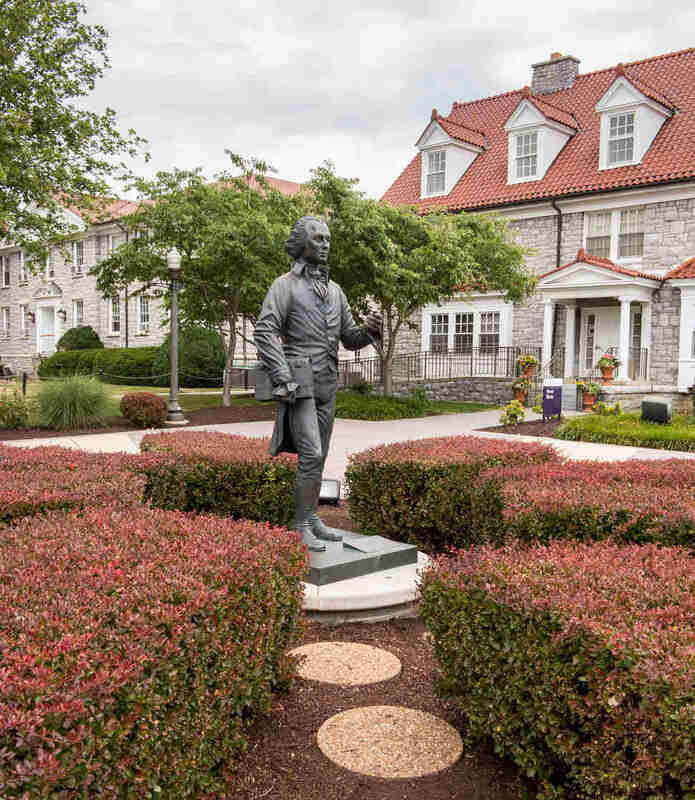 The neoclassical architecture aside, the campus is 1,682 acres of classic Virginia foliage, making it feel in summer like a public country club during the fall, a technicolor wonderland. 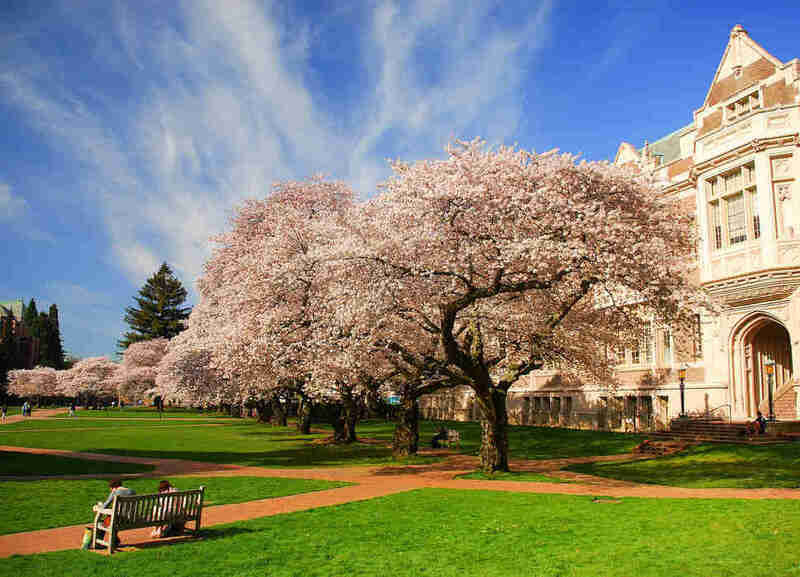 Aside from that other Washington, there is no better place in America to see cherry blossoms than at U-dub. The stately, gothic buildings that line the main quad of campus seem less intimidating when fronted by a sea of delicate pink leaves. But even in the summer and fall, the views of Lake Washington from anywhere on campus -- and the fact you can tailgate on a boat for football games -- make this possibly the most scenic public school in America. Though THE Ohio State University gets most of the press in the Buckeye State, the foxiest public campus here is in Athens. It's a masterpiece of red brick, dotted with white columned-buildings and lush foliage. Perhaps the most architecturally fascinating part of campus is The Ridges, a series of buildings on a hill above campus that includes the OHIO Ecohouse, a historic building dedicated to education in sustainability. Though it’s nowhere near the water, the campus even boasts a “South Beach,” a set of sand volleyball courts in a green between imposing classrooms. 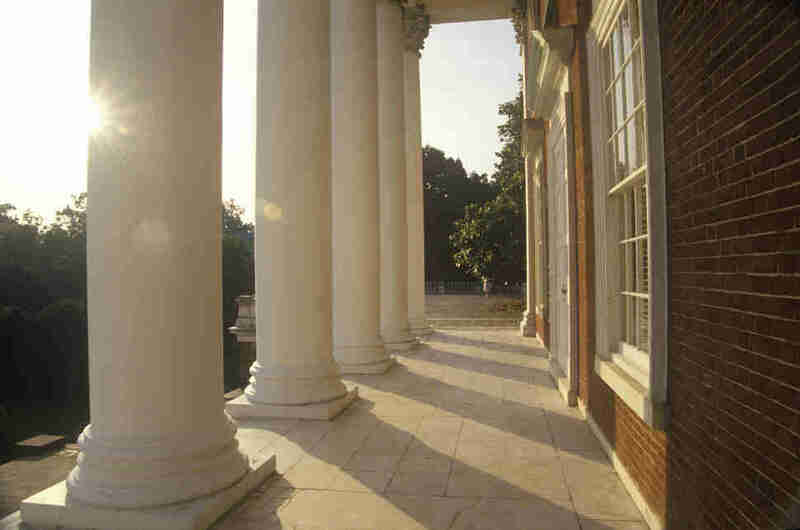 Outside of Virginia you're not going to find a public university campus that so beautifully wears its storied history. 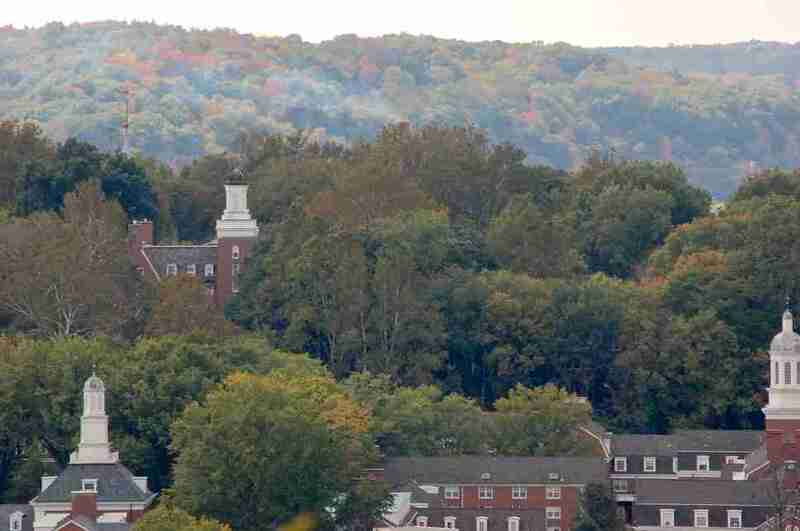 The 729-acre campus is the oldest public university in America, and the entire thing was designated a national historic site in 1974. Many of the buildings were designed by famed architect Alexander Jackson Davis, but even those that weren’t are fascinatingly historic. 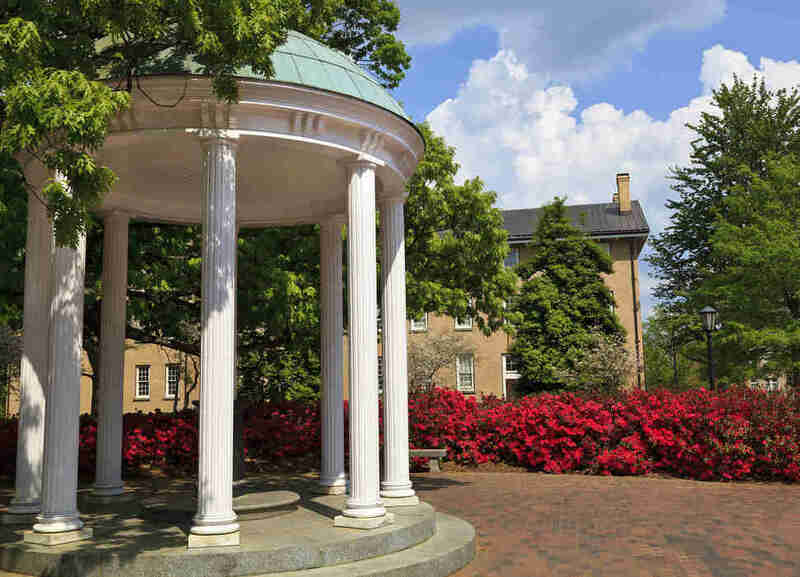 Old East, the UNC’s oldest residence hall, dates all the way back to 1793. And the iconic Old Well, renovated in 1897, was modeled after the Temple of Love in Versailles. It celebrates green space in all its forms; not only is the campus lousy with athletics fields, it also contains parks, groves, and a cemetery. 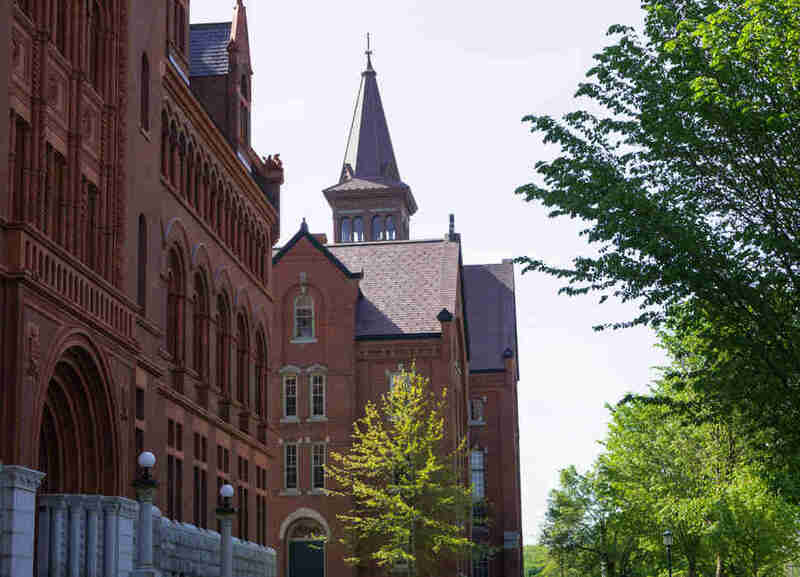 Nestled on the shores of Lake Champlain in the shadow of the Green Mountains, the campus at UVM is not only surrounded by natural beauty, but also boasts the most impressive collection of buildings in the state. A trip through the forested walkways on campus brings you past old gothic brick buildings like Williams Science Hall and the Billings Memorial Library. But perhaps the most interesting building on campus is the Old Mill, so named because it looked like New England mills of the era. When it burned down in 1824, the city of Burlington actually chipped in so it could be accurately reconstructed. 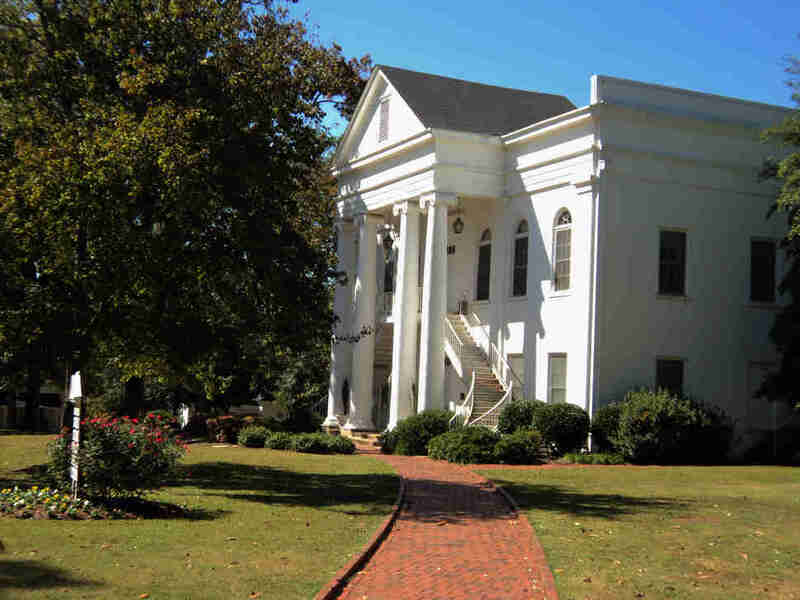 This rural campus between Birmingham and Montgomery could well be the hidden jewel of Alabama. The campus is awash in classic Southern architecture like Reynolds and Palmer Halls, antebellum structures one wouldn’t expect in such a remote locale. But the scenic highlight of the campus is actually about six miles away at the university’s Ebenezer Swamp, a 60-acre wetland research center where students study the ecology of the Cahaba River watershed, or just escape into the wilderness for a little peace and quiet. 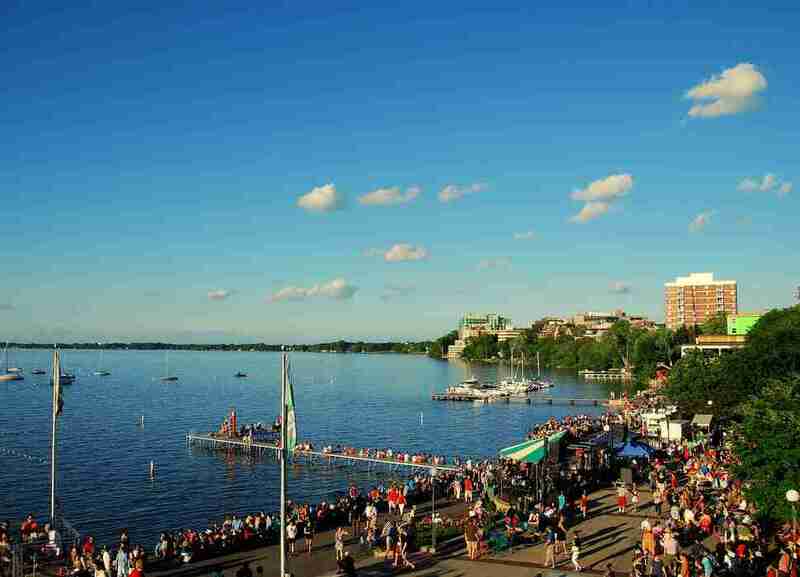 The water-gazing, pitcher-filled getaway they call Memorial Union Terrace. The Red Gym, all muscled and siege-proof. The nearly 100 vertical feet of Bascom Hill (It's a glacial drumlin! You'll learn that in a class atop Bascom Hill!!). These are the handsome hallmarks of UW-Madison. But you might first realize just how truly pretty the place was when, freshman year, you strike out from the (overlooked and very gorgeous) Lakeshore dorms across the ice of Lake Mendota, because it was frozen, and because there were men fishing through it hundreds of yards away. MAYBE you're drinking. You'll ask them what they were doing ("fishing"), and, wishing you'd had worn a significantly heavier jacket, then look back at the snow-touched frontage of the campus and think, Wisconsinly, "Man, this place. This place really is spectacular. And goddamn am I glad I didn't go to Michigan." 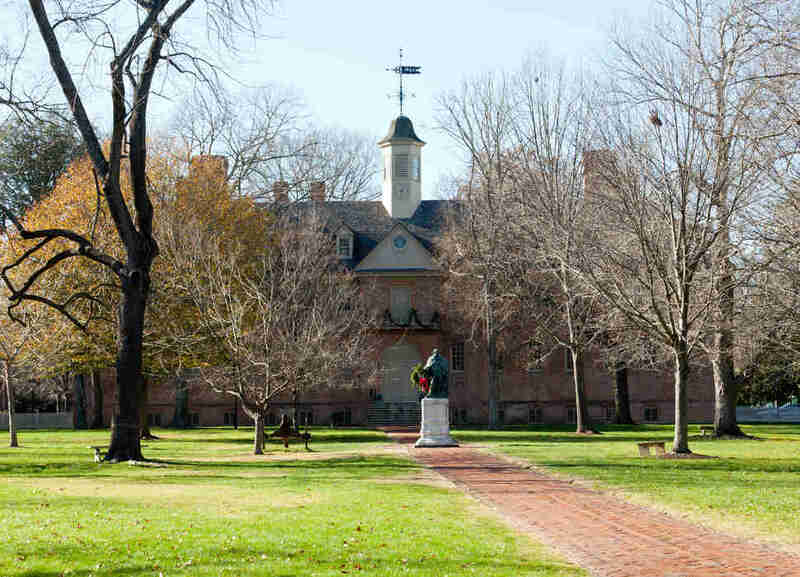 Though the school is just a stone’s throw from Colonial Williamsburg, one need not leave the campus of America’s oldest public college to get a serious dose of history. The Sir Christopher Wren building is the oldest school building still in use in America, and the sunken garden in the center of the fascinating old campus, designed in the '20s, shows off the power of a tabula rasa of green space for students to play on as they will. The campus is full of walking trails and conservation areas, so a day here is as much an escape to nature as it is a history lesson. And even in hot summer months the shade trees that cover the campus keep it surprisingly cool. Though Boulder can be kind of a strange town there’s no arguing with its natural beauty, or really any of Colorado’s. 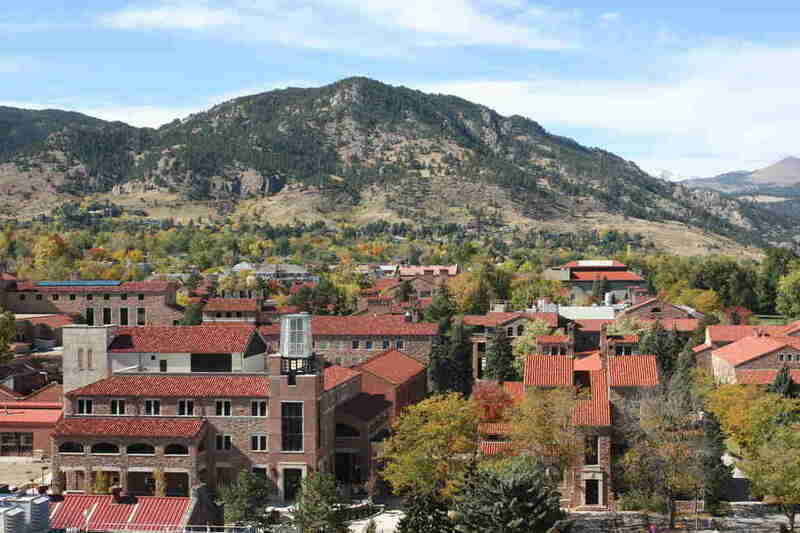 So this campus nestled in the Rocky Mountains is both exquisitely laid out with red brick buildings and its trademark planetarium, and also surrounded by some of the best sights in America. And if the lighting is right at sunset, the colors of the campus buildings perfectly compliment the peaks that surround them, making the whole campus gleam as a natural work of art. Thrillist's Ben Robinson, Bison Messink, and Sam Eifling also contributed writing.